Although drinking alcohol during pregnancy poses a risk to the unborn child, one in 10 pregnant women in the United States still consumes alcohol, a new study finds. What’s worse, slightly more than 3 percent of pregnant women admitted that they binge drink, consuming four or more alcoholic drinks at a time, according to the report from the U.S. Centers for Disease Control and Prevention. Data from the CDC’s ongoing Behavioral Risk Factor Surveillance System survey revealed that 10 percent of pregnant women in the United States, aged 18 to 44, had imbibed alcohol in the past 30 days. Among pregnant women, alcohol use was highest among those aged 35 to 44 (19 percent), college graduates (13 percent) and unmarried women (13 percent), the investigators found. The study also assessed drinking in women of childbearing years who aren’t pregnant, and found that about half (54 percent) had consumed alcohol in the past 30 days. 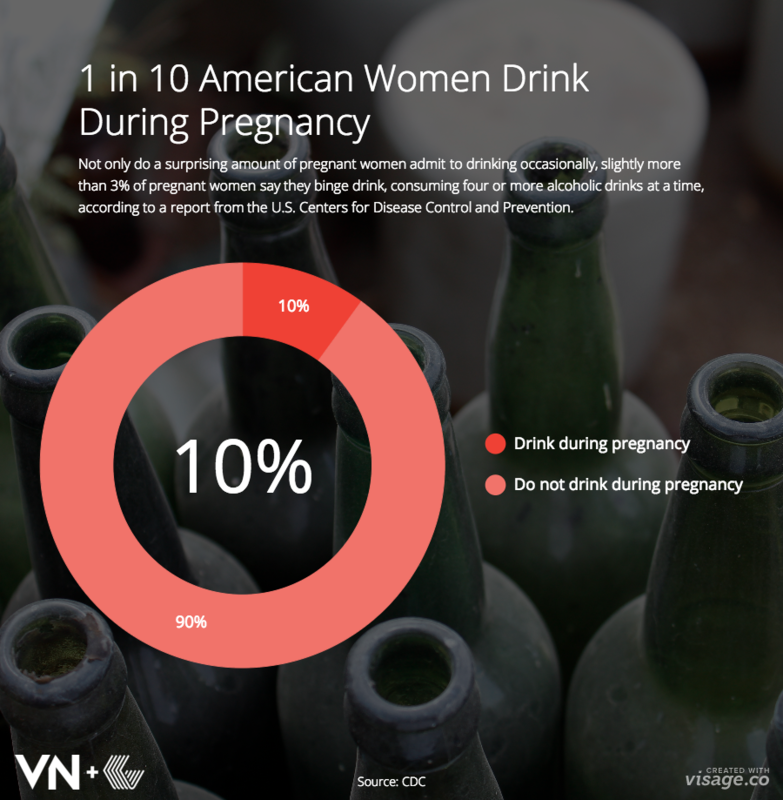 About 18 percent of nonpregnant women report binge drinking. The study results were published in the Sept. 25 issue of the CDC’s Morbidity and Mortality Weekly Report.